Art Of Persuasion- IBM Research has built an AI system that can analyze 300 million articles, papers or records on a given topic and construct a persuasive speech about it. It would take a human—reading twenty-four hours a day—about 2,000 years to get through the same material. IBM Project Debater does it in 10 minutes. Rest easy. It won’t replace humans for reasons I’ll explain below. It will, however, have profound implications for how we make decisions to solve complex challenges. 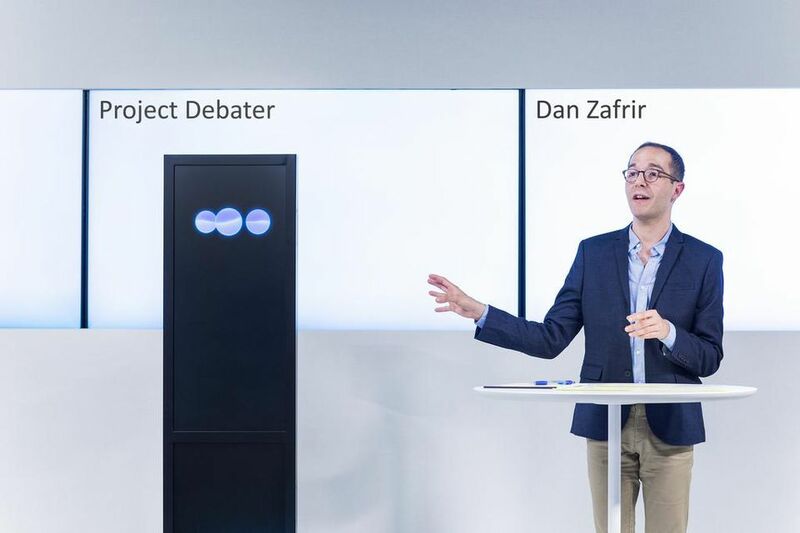 Project Debater is the latest AI technology in IBM’s series of grand challenges. First, “Deep Blue” took on chess champion Garry Kasparov in 1997. In 2011, IBM Watson beat a human champion on the game show, Jeopardy! Now, Project Debater moves us closer to mastering human language, a key objective in AI research. IBM research scientists with expertise in computational argumentation (the science of analyzing text to create a system with logical reasoning) have been working on the AI debate system for six years. In 2018, IBM showed off Project Debater’s ability to take a statement it had never seen before—“We should subsidize space exploration”—and deliver a four-minute argument supporting the statement with facts. Next month, the system will take on a world champion human debater in front of a live audience. They will both be handed the same topic and given ten minutes to form a speech about it. In addition to presenting one side of the argument, the AI system will have to listen to the human debater’s speech, understand it, and form a rebuttal. The researchers assure me Project Debater is up to the challenge. Bringing AI to the Art of Debate. At CES 2019, IBM unveiled the next step in its AI debate technology. It’s called Project Debater–Speech by Crowd. On each day of the conference IBM introduced a statement about a topic and invited people to the booth (or online) to write a short sentence explaining their point of view. The first statement was “Gambling should be banned.” Project Debater gathered all of the opinions, analyzed them, and returned two speeches—one that supports the statement and the second that opposes it. The system determined which opinions were the most salient and eliminated redundancies—recognizing which opinions it had already covered. You can see both speeches here. The 332-word speech arguing that gambling should be banned offered three reasons (with evidence) to support its case: “Gambling is addictive,” “facilitates criminal activity,” and “has ruined many individuals and families.” The second speech—arguing that that gambling should not be banned—also provided three reasons.